Avoid exercising closer than five or six hours before bedtime. Avoid caffeine, nicotine and alcohol before bed. Relax before bed, taking time to unwind with a hot bath, a good book or soothing music. If you're still awake after more than 20 minutes in bed, get up and do something relaxing until you feel sleepy. Anxiety over not being able to sleep can make it harder to fall asleep. 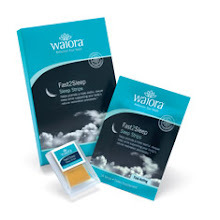 Don't forget to check out"Fast2Sleep" a non-addictive, all natural sleep aid, also look at our Healthy Sleep Store for more products and aids to help you get a good nights sleep. Remember sleep is a necessity, not a luxury.